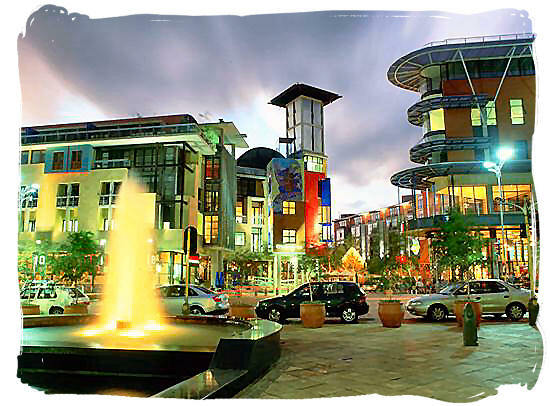 Where to stay and finding the right accommodation in South Africa is a matter of importance when you are planning to visit our country, whether you are considering a 5-star exotic vacation to South Africa or simply a backpacker adventure. South Africa features an enormous number and variety of accommodation choices that will suit just about any budget and travelling preference. If you wish to ascertain the quality or grading of the accommodation you select, look for the number of stars granted by the Tourism Grading Council of South Africa. 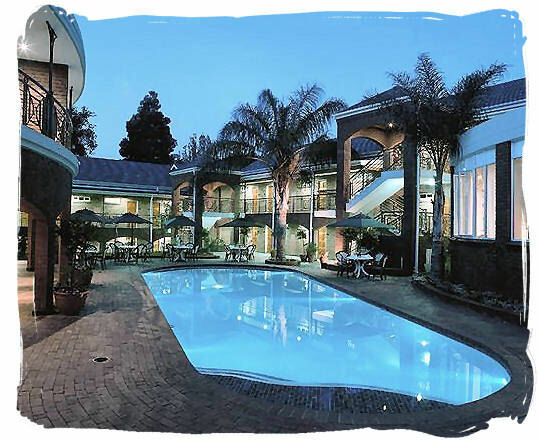 As the only quality assurance body for accommodation establishments mandated by the authorities and industry in South Africa, it evaluates and grades them from 1 to 5 stars according to type, quality and standard of accommodation and service provided. 1 Star= Fair to good (acceptable / modest) quality in the overall standard of furnishings and service. Clean, comfortable and functional accommodation. 2 Stars= Good quality in the overall standard of furnishings and service. 3 Stars= Very good quality in the overall standard of furnishings and service. 4 Stars= Superior (excellent) comfort and quality with a high standard of furnishings and service. 5 Stars= Exceptional quality and luxurious accommodation (matching best international standards). Highest standard of furnishings and flawless service. Take your pick from this huge choice of accommodations in South Africa in particular, and also beyond in the other countries of Southern Africa. Discover an amazing variety of rates and facilities to suit every one's pocket and wants. South African hotels can be compared with the best in the world. Many of the leading world hotel chains (like for example Hilton, Holiday Inns, Sheraton, Hyatt, Inter Continental, Radiss and Relais), have hotels here in South Africa. They all have a high standard and you will find everything you need to enjoy your stay. Wide range of guest services (such as room service). South African hotels cater for all tastes and preferences. Many people prefer modern hotels which are situated in the city centres, in the middle of vibrant and swinging night life. Others choose to enjoy the tranquillity and beautiful settings together with personalized service and attention of a country hotel. For those who want nothing else then superlative luxury and pampering, an estate hotel or boutique hotel, often situated on a wine or golf estate might be a good choice. These are unique 5 star establishments, usually with less than 15 rooms. Absolutely exceptional standards, service excellence and sophistication are the hallmarks of these exclusive and elegant hotels. Bed and Breakfast accommodation in South Africa is in general made available in a private residence with normally no more than one or two guestrooms. In cases where they have got more than three guestrooms, we would rather refer to them as guest houses. Guests can stay overnight in a private bedroom with bathroom that might or might not be en-suite. A full English or Continental breakfast is usually covered in the daily tariff. A variety of other meals are often provided as optional extras. Often the home owner or hostess stays inside the house or sometimes somewhere else on the property, with or without family. Usually the guests share the public areas with the host. 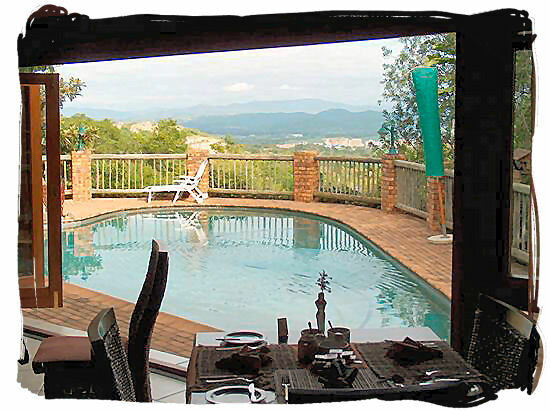 There is a very large number of comfortable and convenient Bed and Breakfast establishments in South Africa. Ranging from luxurious to reasonably priced, from informal to formal, with each host putting his or her personal stamp on the service and character of their establishments, you will have no problem in finding a Bed and Breakfast that will suit your personal tastes and budget. Staying in a South African Bed and Breakfast home and being in direct contact with local people is a unique and personalized experience. It is one of the nicest ways to enjoy South African hospitality. Nothing can beat home a cooked dinner or barbeque (braai) and a relaxing home atmosphere to welcome you after a long day's sightseeing. Guesthouse accommodation in South Africa is either a transformed residence or mansion etc., designed to accommodate overnight guest visitors, or alternatively it may be a purpose built establishment. Mostly managed by the owner, it is run as a commercial establishment. The public areas are exclusively for use by the guests. The owner of the property or manager may either live at a different place, or in a different area on the property. Guesthouses offer a wider range of services and most of them include breakfast in their tariffs. Guest houses are much like mini hotels, with a limited number of rooms averaging between about 5 and 15. Their atmosphere and character is a blend between the personal and homely touch of a Bed and Breakfast and the professional approach of a small hotel. Having said that, you will find that most guest houses in South Africa are extraordinary friendly, hospitable and personal, making you feel very much at home. A lodge is an accommodation facility that is located and designed to put its guests in contact with Africa's nature and culture at grassroots level. The design and construction of a lodge are generally characterized by the use of natural building materials such as stone, wood and thatch, to make it blend naturally with its surroundings and environment. 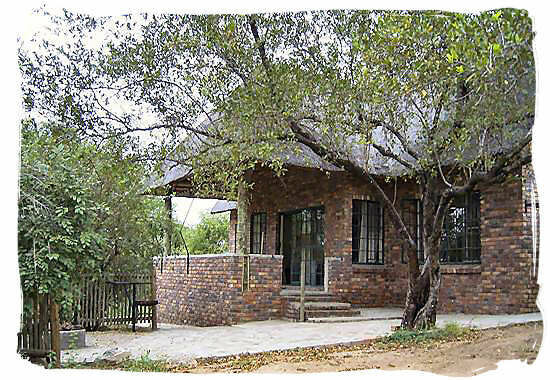 The large majority of lodge accommodation in South Africa are game lodges, which are to be found inside privately owned wildlife reserves, national game reserves and private game farms. As far as quality and costs are concerned, these range from country style and budget friendly for the price conscious, to unparalleled extravagance for those who wish to indulge in the wilds in style. All meals and activities are normally included in the rates. 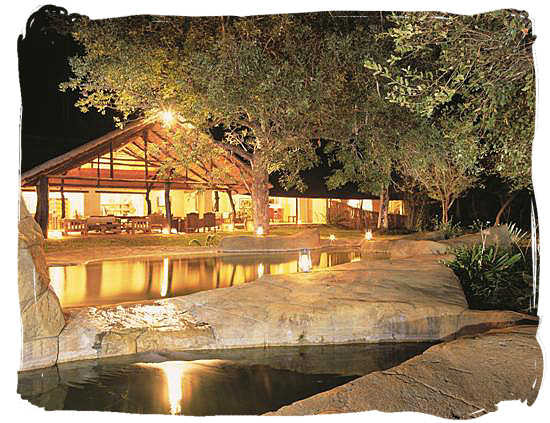 Providing guests with an unforgettable Africa experience, while being accommodated and cared for in a unique, memorable and personal way, is the prime objective of South Africa's game lodges. Guests are often hosted by game rangers who cater to every need and interest, assisting with the interpretation and explanation of African bush and wild life. Safari game drive and bush hike adventures, combined with fabulous evening time bush dinners under the open African night sky will almost certainly help make their stay in a lodge an unforgettable adventure. Backpacker hostels are establishments that provide accommodation facilities aimed at the budget traveller. Bedrooms are in dormitory style and bathrooms are shared. In South Africa many backpacker hostels offer single and double bedrooms as well as private bathrooms. Guests generally prepare their own food and drinks in shared self-catering style kitchens, although in some establishments light meals may be available in addition to the room rate. 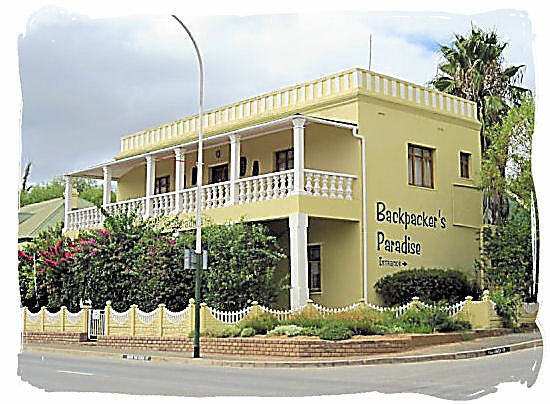 Backpacker hostels in South Africa are clean, attractively priced, well run and generally fun. For cost conscious travellers who love their freedom and independence, backpacking is a wonderful way to tour South Africa, a favourite destination for backpackers from all over the world. It has more than 180 backpacker hostels spread across the country. The easiest way to travel between the backpacker hostels in South Africa is by special bus, commonly known as the Bazz bus. It is especially for backpackers, providing a hop-on hop-off service between hostels. Self-catering accommodation in South Africa is generally a chalet, bungalow, cottage, house, apartment, flat, tent or similar and sometimes even a houseboat, at which amenities and appliances are available for guests to take care of themselves. For people who like their privacy and freedom combined with affordable rates, there are quite a number of these establishments country wide. Many South Africans are offering one of these self-catering facilities on their home premises as an extra form of income. You are staying with and between local South Africans, experiencing and living their way of life, a rare, unique and exciting experience. Price and quality of the accommodation will vary from inexpensive rebuilt garden cottages to luxury estate type getaways and villas. Camping and caravan sites are accommodation establishments which offer ablution and toilet facilities together with open space for guest visitors who bring their own overnight accommodation such as a camper, caravan, motor-home or tent. There is a large and well-established network of over 700 excellent camping sites in South Africa, situated at popular holiday destinations, near national wildlife parks, at the coast and on popular tourism routes. 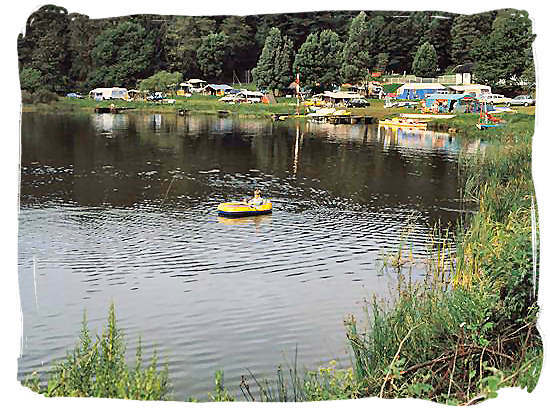 Quality and standards of camping sites in South Africa can be compared with the best in the world. For those opting for a self-drive tour and the freedom to explore the South African country side by themselves, camping is a convenient and inexpensive option. No better way and place to enjoy the outdoors. Cars, Caravans, Campers and Tents may be hired in all the major centres throughout the country. The best time of the year to go camping in South Africa is from October to march. 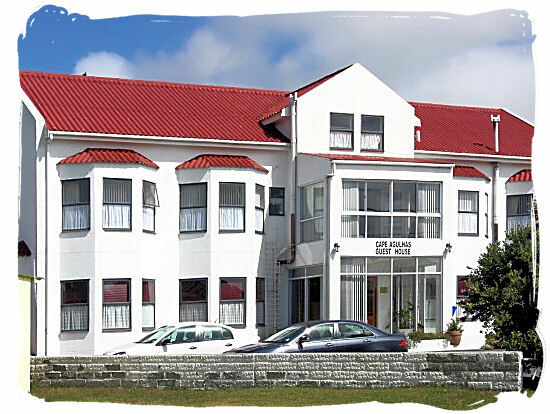 Resorts are hotel and entertainment complexes offering a wide variety of accommodation, often in the form of free standing chalets and bungalows and including a wide selection of restaurants, bars, conference and entertainment facilities. 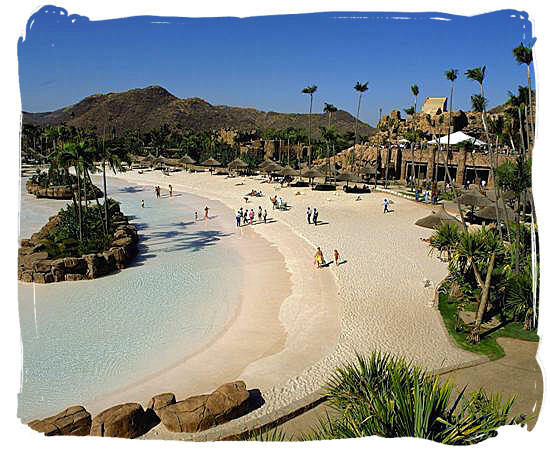 Some holiday resorts in South Africa also offer the option to buy timeshares or prepaid increments of vacation time. This is often a great option for frequent travellers and families as holiday increments are commonly transferable for time at other resorts in South Africa. In addition to the standard hotel amenities, they offer entertainment and holiday experiences such as golf courses, casinos, water sport activities and wildlife to name but a few. Holiday resorts in South Africa are particularly well-suited for family vacations.